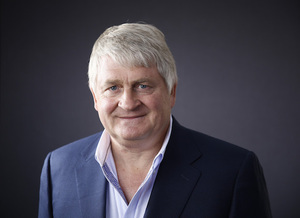 A five-minute interview with Digicel Group Chairman Denis O’Brien who’s currently in Papua New Guinea. He talks about Brexit, Britain’s Prime Minister Theresa May and the “terrific” job carried out by Tánaiste Simon Coveney on Brexit. He says he reckons Ms May will lose parliamentary approval for the Brexit draft agreement and there will be a general election and then, after that, “we’re in no man’s land”. Mr O’Brien also talks about Digicel’s bond swap and the possibility of asset sales. And we wish him all the very best with that. 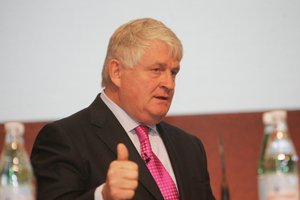 Posted in Misc and tagged Brexit, Denis O'Brien, Digicel at 3:27 pm on November 16, 2018 by Bodger. It’s Redacted that’s in no mans land by the sound of things..
Nice of him to give a shoutout to his fellow Bilderberger though..
You’re forgetting that €45m bargain of the century, Siteserv. Not only did he get the water metering gig (which had NOTHING to do with that chance meeting with Phil Hogan at the Mount Juliet), but, if it wasn’t for those pesky kids, or Catherine Murphy, he’d be making tens of millions right now from the National Broadband Plan. Digicel is probably a wash, he put in equity and took out massive dividends. 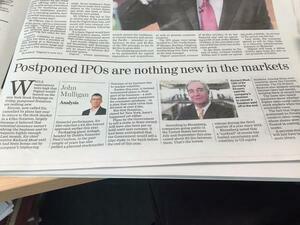 Topaz also was a wash. Communicorp and INM have been lousy on paper, but how much negative news has been suppressed? Maybe ask Gavin O’Reilly. He’s made good on some property investments, in the tens of millions range. How much is he worth in net terms? I’d guess €200m. 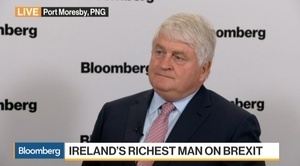 Yes, he is ireland richest man that was born here by far. Not like those passport billionaires from India etc. I beleive you could get a passport if you invested a certain amount in ireland. In the days of Albert Reynolds you could get a passport for 1million investment in Ireland. And once you had the passport you were free to take your money out. 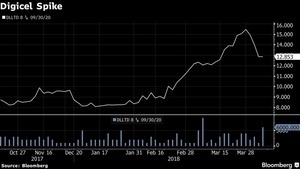 Investing in one of Reynolds companies was, of course, optional. Not condoning it, not saying it’s right but many countries around the world do this, including US, UK, Australia & NZ. He sorting out the people of Papua with mobile contracts and charity? NIce shout out to his fellow milshake straw guzzlers. He is an asset stripper, but only if their not his to strip. Dialogue on how business and government can foster innovation, embrace digitization, navigate disruption and create opportunities for inclusive growth. Infrastructure will be pivotal. Its like throwing a party and no one shows up or they all cancel at last minute ! Actual lineup after DOB announced,probably just a coincidence that all the heavy hitters bailed,Trudeau,Piñera and Large all pulled out, leaving Dennis and two benchwarmers.They did NOT pull out the conference just backed out of this after Dennis O’Brien was announced, snubbed much Dennis ! “Dialogue on how business and government can foster innovation, embrace digitisation, navigate disruption and create opportunities for inclusive growth. Infrastructure will be pivotal.